Plain PETSCII Compo 2013 Results Scroller by Mayday! 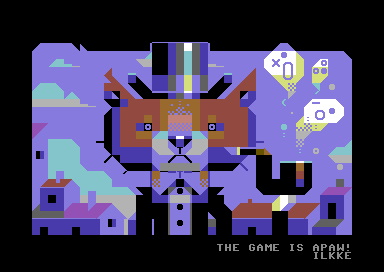 The top 40 voted entries, out of 100+ pieces submitted to the PETSCII art competition at CSDB. How many were done using petscii? Baah: I'd say around 70-80%. Nice prod, way to go voting outside CSDB (not that i would have changed anything regarding the Top 3). Also congrats to my fellow group mates Mermaid and Redcrab grabbing places 1-3.
page created in 0.014084 seconds with 15 queries.